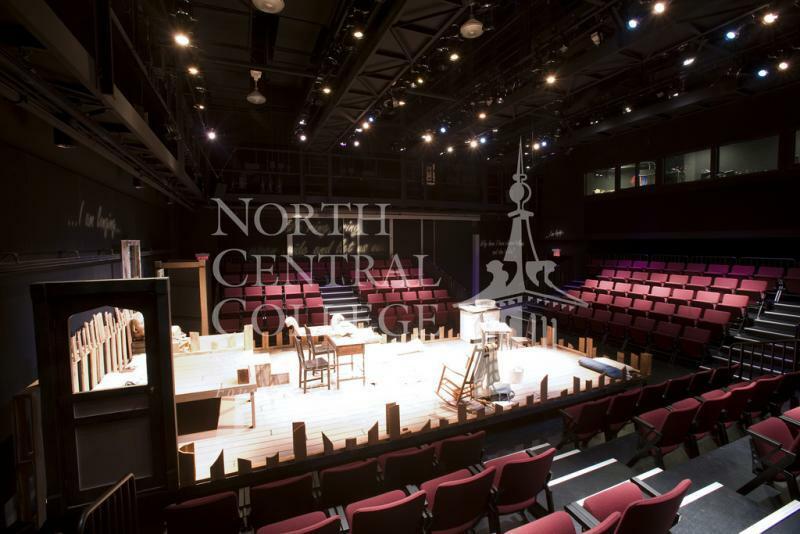 North Central College offers state-of-the-art venues for the public to host its own special Illinois events and meetings. 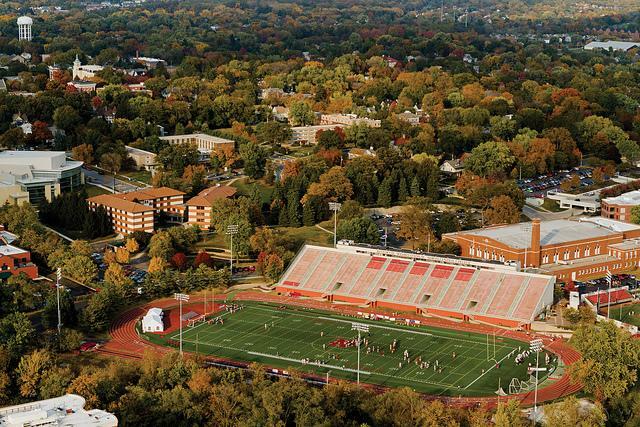 Our 65-acre campus is nestled in the heart of the residential Historic District in Naperville, Illinois (rated the fourth safest city in the USA). We're located just two blocks from the metra train (30 minutes to Chicago) with easy access to major expressways and two international airports. 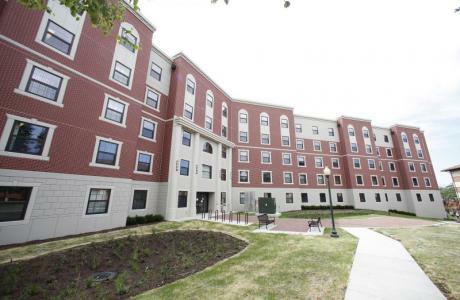 Campus is a short walk from downtown Naperville amenities, including bookshops, restaurants, ice cream parlors, boutiques, coffee shops, technology stores and the famed Riverwalk, making it an attractive destination for conference attendees, wedding guest, fine arts enthusiasts and sports fans. 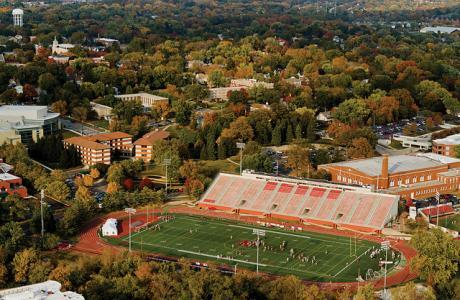 Our Illinois venues include five performing arts spaces, seven board room-style locations, two large exposition halls, indoor and outdoor athletic facilities, intimate nondenominational chapel, collegiate residential housing (suite style as well as traditional, season dependent), classrooms, performance and lecture facilities and many other suitable spaces to accommodate our clients needs. 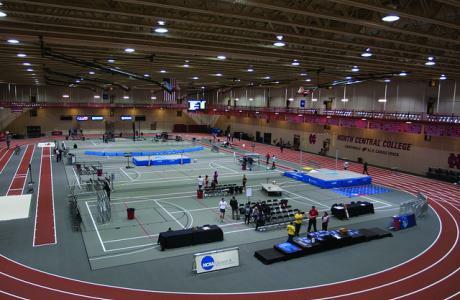 We are well equipped to host events ranging from 5,500-spectator sporting events to 50-guest meetings. All events are treated with the same degree of professionalism, customization and attention to detail. Our North Central College Conference Services staff are trained to manage all of our clients meeting and event needs, including audio/visual, furniture rental, decorations and catering. Year round facilities. Residential conferences Mid June - Mid August. North Central College has Smart desks in the majority of the classrooms. Full media support available. 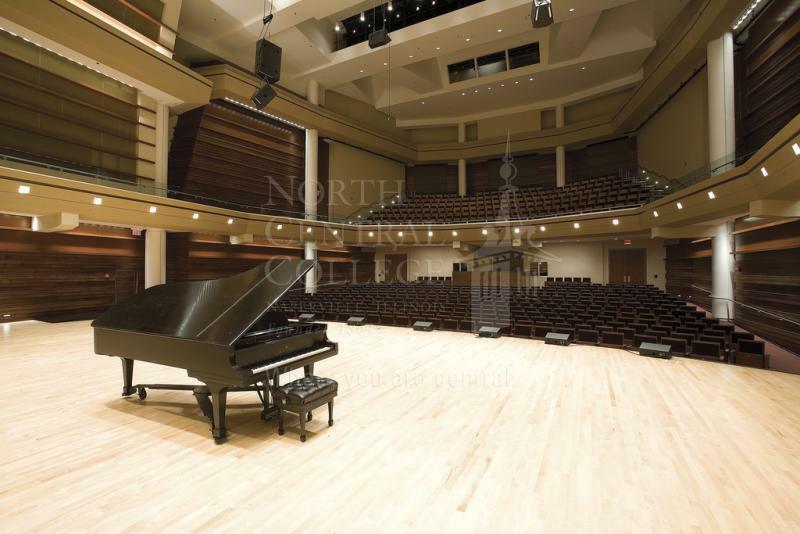 Wentz Concert Hall can be acoustically tuned for the perfect sounding environment. North Central has a cafeteria, food court and the Boilerhouse Café on campus. 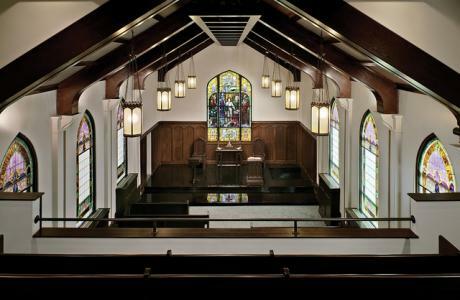 Events can be catered by Chartwells or another professional caterer. Wentz Concert Hall	 Wentz Concert Hall is hailed as a gem-the premier destination in Chicago's western suburbs to appreciate performances of classical, jazz and contemporary music. 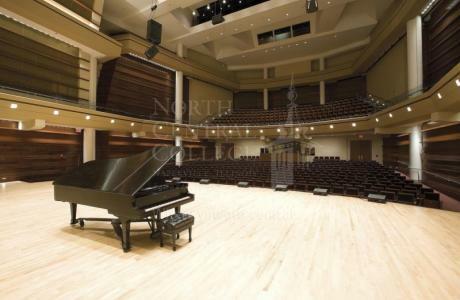 Wentz Concert Hall can be "tuned" through the motorized extension and retraction of sound-absorbing curtains. Two massive sound chambers, one on each side of the stage and invisible to the audience, enhance the audio characteristics and allow sound to bounce off multiple planes as it is directed to the audience. 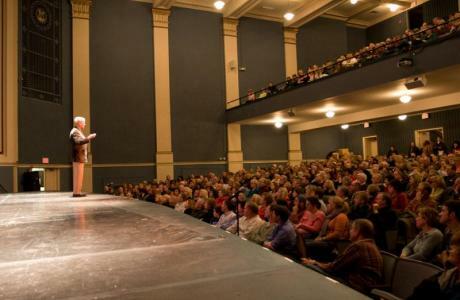 Pfeiffer Hall	 Pfeiffer Hall is a grand venue with a large proscenium stage. 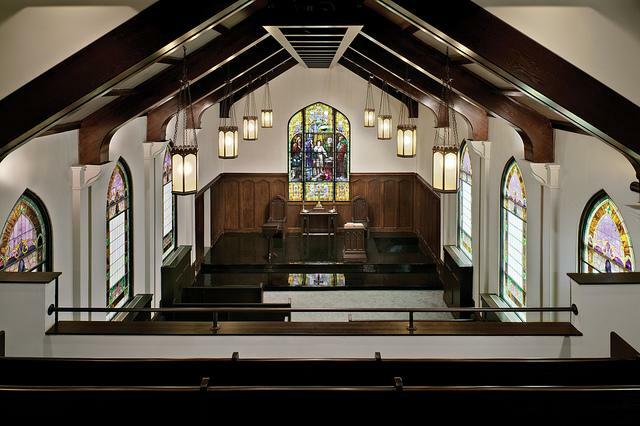 The auditorium features main-floor seating for 588 and the balcony seating for 469. The Theatre at Meiley-Swallow	 The thrust stage theatre in Meiley-Swallow Hall is ideal for intimate musical and theatre productions, as well as speakers, panel discussions and presentations. 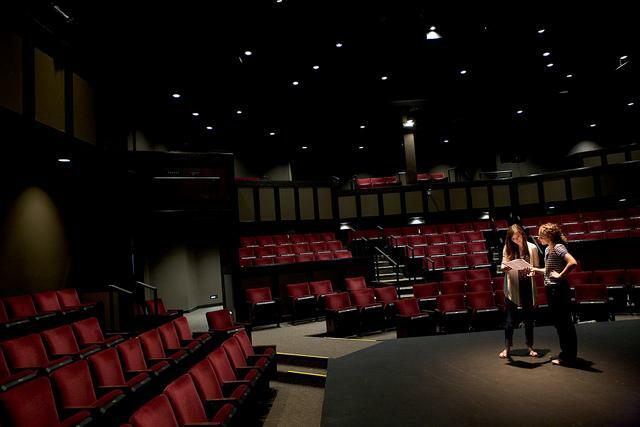 Madden Theatre	 A black box theatre brings together actors and audience up close and personal with its flexible seating and staging configurations. Madden Theatre is an ideal setting for experimental theatrical performances and a great space for film screenings, jazz and dance performances and lectures. Kaufman Dining Hall is our traditional buffet-style dining option, featuring all-you-can-eat breakfast, lunch and dinner. Choose from a number of hot, fresh entrees and sides, regular cook-to-order specialties (like stir fry, wraps and omelets), or the always-available soup, salad and sandwich bars. Top it off—in moderation, of course—with a dangerously tempting and delicious spread of sweet treats and ice cream. The Cage, conveniently located in the vibrant Harold and Eva White Activities Center, is the perfect place to grab a quick meal between classes or to relax and share a snack with friends. Choose from burgers, wraps, soups, salads, sandwiches, wings—even hot pizza from Papa John’s or a delicious smoothie from Freshens. The Rolland Center Boilerhouse Café is a popular place to meet friends over Starbucks coffee and a fresh-baked treat, from early in the morning until late at night. Naperville Riverwalk	 Located in the heart of downtown Naperville is the Riverwalk. With 1.75 miles of walkway that meander along the DuPage River, the Riverwalk is amongst many important, well known places as well as fine eating establishments.